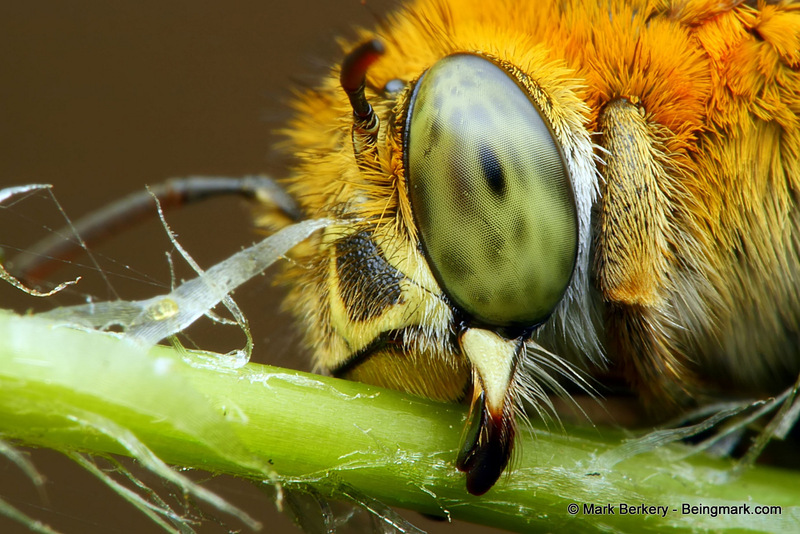 Just the one sleeping on a tendril hanging from the fern above the Orange Tail Resin Bee hotel. S/he started to buzz and appeared irritated with flash so I pulled back for it to withdraw to darkness once more. Ok, just one more … from front and below, bee hotel in background. Everybody asleep … for now. 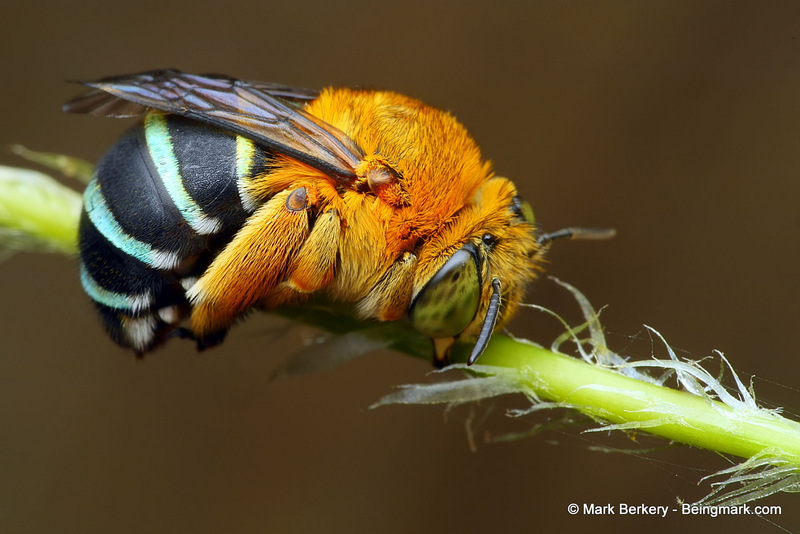 The Blue Banded Bee is much about the garden through the day. Less visible at night though. The flash can waken them and they fly to the nearest light, not good for BBB. So only a few shots for now. Maybe when it gets colder and they are more sluggish, and I can find them, I’ll get some more. They are a pleasure to have around the house. 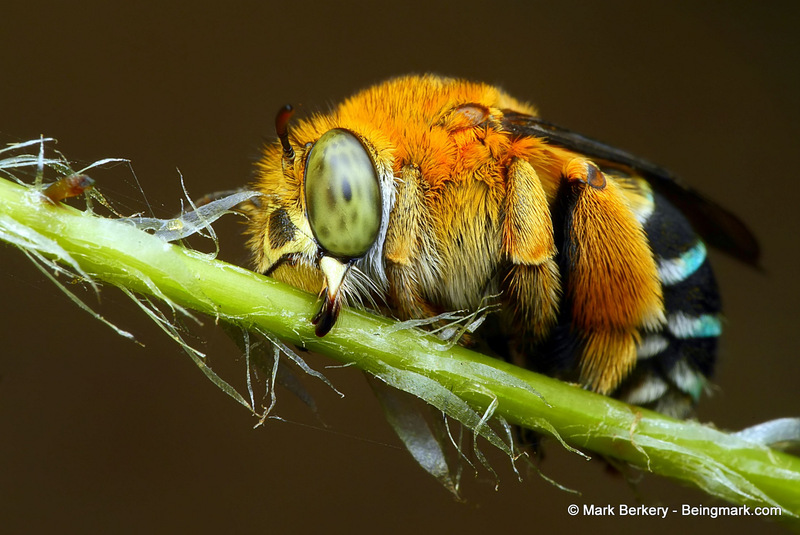 These gorgeous bees are among my favorite subjects of yours, Mark. Thanks for the great images! So beautiful, this bee. Your photography always makes a fascinating world visible, humans live in unaware. … and it’s a pleasure to watch them at work, and play, as they dart around the gardens colours. It’s one way, a small aperture if you like, back into our nature – out of mind.